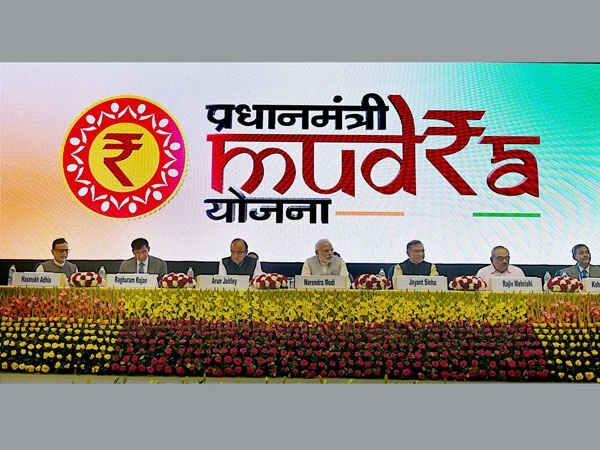 Pradhan Mantri MUDRA Yojana popularised under the name of Micro Units Development and Refinance Agency was announced by the Hon’ble Finance Minister during the Budget for FY 2016. This Yojana was organised by our Prime Minister Narendra Modi on 8th of April 2015 for funding small business sectors (small and medium scale entrepreneurs). “Funding the Unfunded” was the basic idea of this scheme established with a budget of Rs. 20,000 crores for extending credit up to Rs. 10 lakhs to Micro Finance Institutions. It is regarded to provide Rs. 10 Lakhs to Rs. 5.75 crore small business units. Low-cost funds available for Micro Finance Institutes (MFIs), especially SCs/STs for lending. Small scale businesses will experience the ease of access to funds and will increase their liquidity. The combination of their integrity and capital would prove to be a successful duo for the success of this scheme. Similarity in regulations and best practices of SHG linkage programme, NBFCs-MFIs, trusts/societies/companies under section 25 engaging in Mudra activities as Mudra Bank will be the only regulator of all roles in the MFIs sector. How to Apply Mudra Loan? Mudra loans can be availed by the eligible people from any of these lending financial bodies, Commercial banks (Private & Public), RRB’s (Regional rural banks), Co-Operative banks (Urban and State), and other Micro Financial Institutions. PMMY (Pradhan Mantri MUDRA Yojana) eligible borrowers can approach any of the above mentioned financial institutes, however, each institutions has their own eligibility norms, apart from that no other structural mode of applying process entertained for availing MUDRA loans. You should have a business plan with you. Take this business plan with any of these banks of org supporting Mudra loan. Present your case in front of bank. They will ask you to fill some forms. Since this is a collateral free loan no guarantor is needed. Since Government is more keep on giving loan to a women so make sure any female member is included in the business plan. Since, MUDRA loans are offered for the improvement of business owning a current account with the respective bank would make the loan process pretty simple and quicker. In order to assists the borrowers, the government of India has placed around 97 Nodal officers by appointing them at various SIDBI offices across the nation. As the mission of MUDRA loans is to achieve success in the entrepreneurial field by lending financial assistance with security, the eligible borrowers are required to approach banks by taking the completed business idea with them. In addition to that business documents, the loan application form must be enclosed with the basic proofs like applicant Photographs, copy of Identity proof, Copy of address Proof and if the borrower has Aadhaar card then submitting that copy is highly appreciated. To get clarification about the MUDRA loans and for applying process send your queries to the official support ID help@mudra.org.in. You can also use these helpline numbers. First category SHISHU, offers a loan cover up to Rs. 50,000/-. This is for the stage when you have just started the business. The second category KISHOR, under which loan is covering up to Rs. 50,000 to Rs. 5 Lakhs will be provided by the time your business, has established itself. Third category TARUN, Rs. 10 Lakhs as a loan are provided when you have an established business and need the funds only for the appraisal and expansion of your business. The important thing to be kept in mind is that sometimes this MUDRA YOJANA is also called as MUDRA BANK but it is not to be mistaken as a separate bank. Mudra Bank is just a financial scheme under the Government of India to provide a loan for setting up a firm business to the small business sectors. This helps in the growth of the of small scale industries, catering the raw material needs of the large-scale industries, thus forming a circle for the expansion of large-scale industries too. All you need is get the blueprint of the business plan that is beneficial for the economy as a whole and choose the category accordingly. Just after doing this, approach the nearest public/ private bank. granted the loan of Rs. 10 Lakhs, then the credit limit will be Rs. 10,000. As it is, the maximum credit limit is Rs. 10,000. There’s a new update that CORPORATION BANK has launched a Mudra Card (in association with the Government of India) in the face of RUPAY DEBIT CARD. This card, all in all, extends a helping hand in the withdrawal of money along with the use of working capital finance by micro-entrepreneurs. Please call me..i want urgent..
Nice thinking in PM yojana thanks to naredra modi sir plz improved in indai jai javan jai kisan jai shishu.jai kishor.jai tarun JAI KARNATAKA SIR BYE. Require a loan of 10 Lacs. we required rs.5 lacs. for progressing milk dairy business. urgently required please help me . I just need Mudra loan and i leave com of it that i need loan from Mudra bank i got many fraud calls when i avoid it now some people circulate my number and tell other that i offer a Mudra loan,i comment on FB,TWITTER and Mudra website but some fraud people try to misguide people please look after it. I Arjun Srivastva working in medical field I have complete medical team experience to do run a complete medical center . So i want to start a memorial medical center who can help to poor and needful people. I need some from this mudra yojana . I have ITR and Bank detail and I went to our bank try to loin but they are cant help me. please suggest me how to apply,and what document required? Very Interesting small business loan for the entrepreneur I would like to be contacted on my no. sir I want a small business lone for grwo up my business but I have a cashcredit lone from UBI bank sir can I got that lone?? I want to start my own business like trading the spices and dryfruits and some kirana items so i need some funding to start the business . my requirement is Rs two lacs only. I have an experience of around 27 and odd years working on Management Position in Industry. Now facing a family health issue on account of cancer, family located in Aurangabad (Maharastra). Due to inevitable circumstances forced to leave job which is at a different location (Khopoli Raigad – Maharashtra). Now I am 51 and want to persue business indenpendantly in trading activity of industrial products. I have a strong networking in industries. Also confident to establish own activity in this area at Aurangabad Maharashtra. My own capital up to 20 to 25%, I need a loan under the MUDRA yojna upto Rs.10 lacs. Am I eligible to obtain the same and if so, I wanted to apply immediately, for the same. A project in this context is ready with me. i want to start my own business like bhojnalay or restrorent in my town wich name is vindhyachal.vindhyachal is religious n holy place.10k people or more thane ,comes here everyday. so please help me to provide the loan for my business. I can see the mudra yojan details for small business persons i thins lot of expectation in this loans for Rural educated unemployed persons . Dear PM Sir Pleas Jaruj Jarikaro This Yojan for Strongly. I’m a photographer and graphic designer. I need loan up to 5lacks to improve my profession by purchasing high quality fullframe camera and equipments. Can you help me sir. dear pm sir i am doing job work for manufacturing of house construction materials for solid cement concrate blocks ,bricks and tiles etc. i am already purchase and developed house construction materials but i have financial problem to start and promote my business .i have growing account in state bank of india hosur tamil nadu.i am personally visit there and meet with loan officer but he told me and ignore for mudra yojna he also told me please visit other bank. i am not provide mudra loan please help me how to get this service. I Was Go To PNB Bank With All The Papers Required But They Not Allow Me The Loan. Inkey Pass Ek Working Category Ki List Hai Or Mere Kaam Website Designing Ka Hai So I Required The Loan For Increase My Work.. Help Me Sir..
Dear sir, we doing small business we need some money to do other business 1,0000/- we are found mudra loan in Hdfc,Idbi bank, union bank of india they was saying there was no any this types of facility in our bank . so plz sir tell me a right way of the mudra loan. thanks ……. Mudra Loan is very good support systems for business, but Banks are not supporting for this scheme, Bank Manager says that ” Money is not property of India Government” we will decide to take loan which person is liable for that. If you know to any bank agent than you will get Mudra loan understand? MUDRA is a very good scheme to help to those genuine people who have good intentions but do not have formal access to funds from bank. but the ground reality is there are many non genuine people who are considering it just a good sources to get some free money. Now the bank can not give away money to any people. To avoid this, i suggest you prepare a good project report, cite your bank history and CIBIL score. I am sure this will work. Check with you nearest public sector bank and the bank in which you hold bank account. enquire about Mudra Loan. i am optimistic that they will help you. mostly all banks have a standard format of MUDRA loan form and list of documents required are mentioned on it. can I get loan to start e-commerce. sir I belongs from Kashmir .I want start a business unit.plz give me some amount as loan. sir some peoples give me bad offers but I’m not ready. I want make a success business man plz help me for making a good & peaceful person of my country..that’s ur most kindness…09906089307……. I need for my cycle business my case is not for shishu; kishor but Tarun then also so many problems for getting pm mudra loan. Thank you. I am working in FMCG industries, i want to start my own refinery oil trading business. I need loan from PM Mudra loan. Hi sir already established my shop( kirnam , general and food products all things) this started nearly 15 years back develop the shop to renovate to supermarket so I want 10 lacks loan .I have six years regular It tax pay . my monthly turnover 3 laks .In this turnover my profit is 8% because every day purchase the product reason is I have no investment .please help me the loan and this loan sanction than automatically renovate the Chang e to supermarket and am giving the employment to minimum 3 person . please give me the loan .